The powerful gorilla on a metal poster ! This animal wall poster is delivered with its magnetic hanging system. 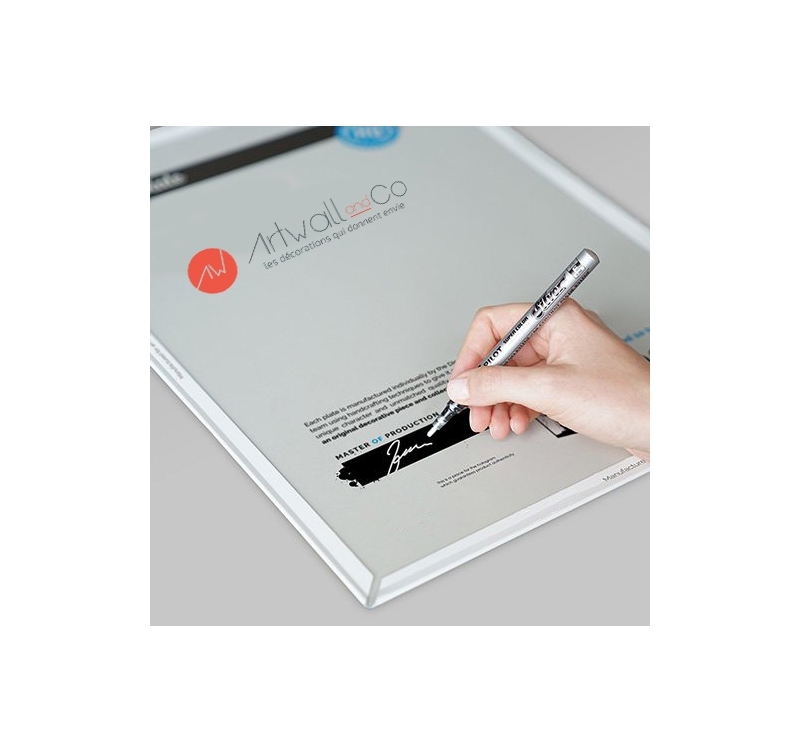 The dimensions of this nature wall poster are 48 X 67.5 cm. 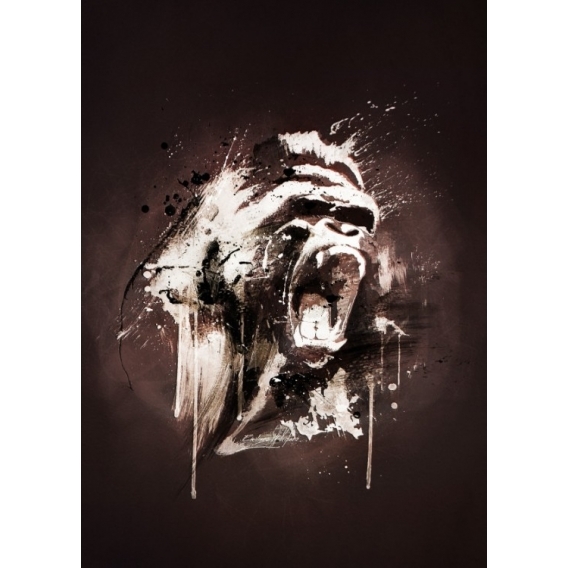 Free delivery in metropolitan France and Belgium for this gorilla wall poster. 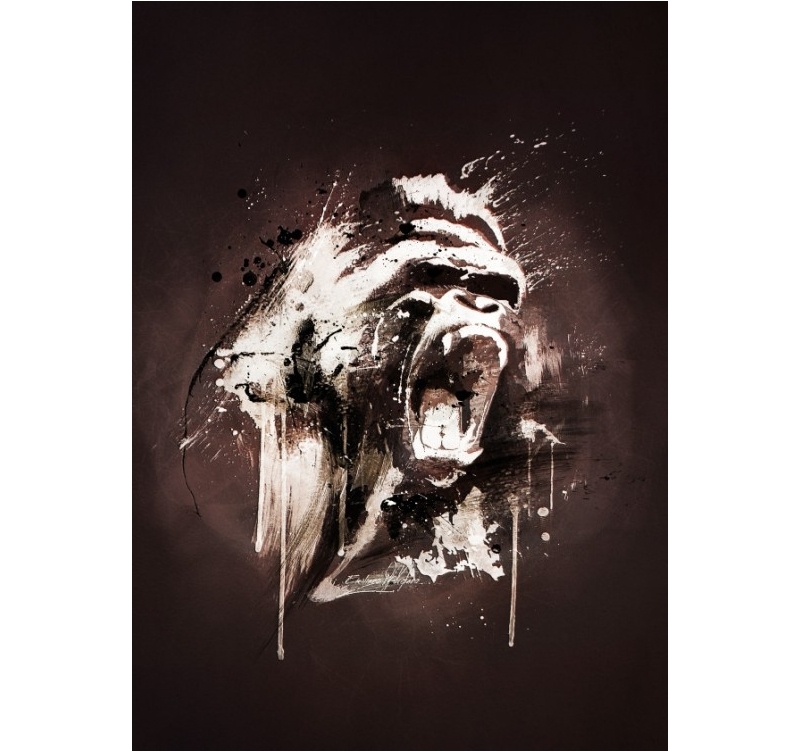 This gorilla is ready to fight for the power on a deco wall poster! 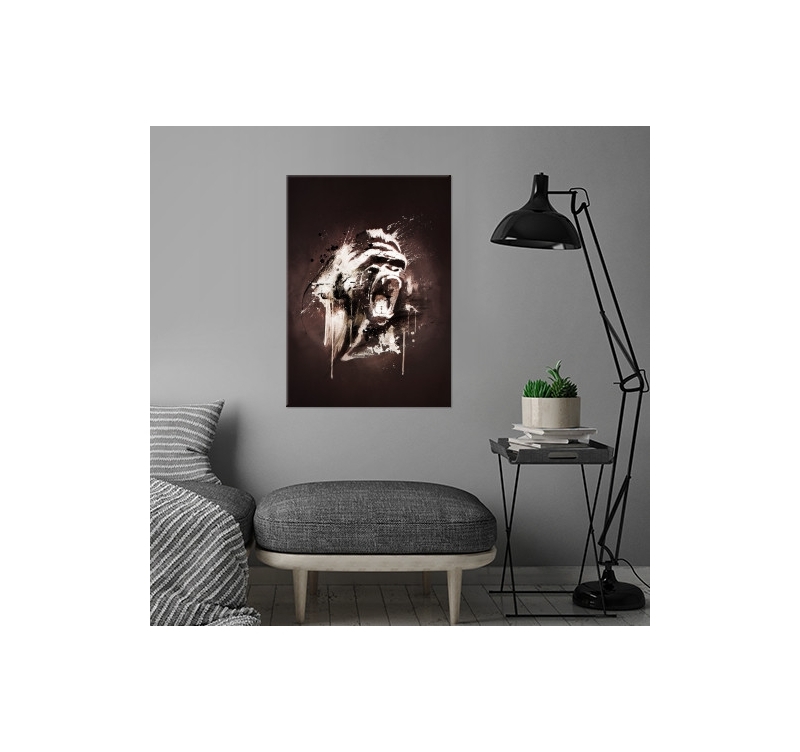 The colossal strength coming out of this gorilla will bring an impressive and masculine touch to your interior decoration thanks to this Artwall and Co metal poster. Its abstract side and warm and dark colours will very well fit in an exotic interior decoration. 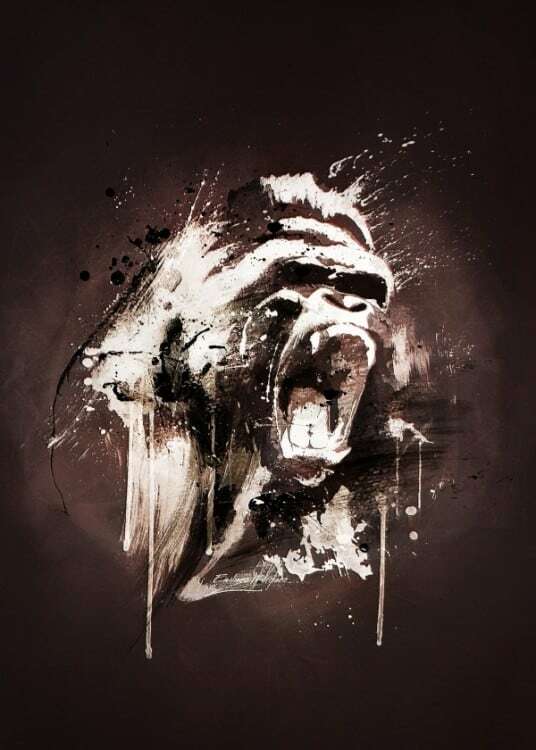 Created by our artist, this gorilla original poster is a collector. 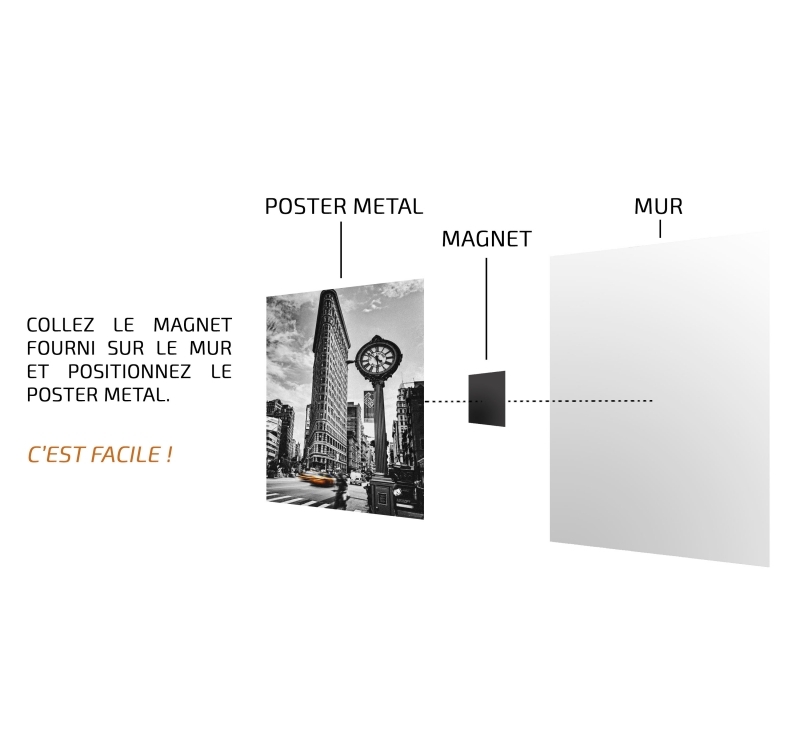 Delivered with its magnetic hanging system, this wall poster is easily hung up without a hole or a screw. 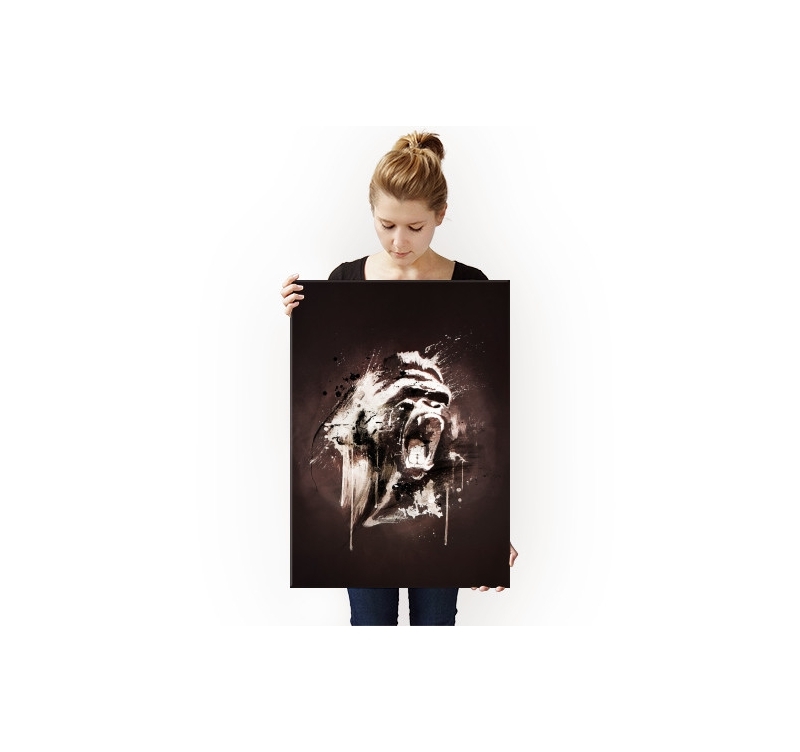 Purchasing this nature gorilla poster allows you to directly support the artist that created it.